Social networks cumulatively receive billions of views per day and their growing numbers have attracted the attention of advertisers. However, before getting into advertising on social media websites, it is important to understand how and what type of users engage on the site and how best to target customers. Facebook advertising has taken some flack for its low conversion rates. But with over one billion users, Facebook provides the visibility that many advertisers covet. In addition to awareness and branding, many people combine these campaigns with links to their own Facebook pages to build user engagement. The Facebook Platform software development scheme offers several options for advertising schemes. Games have become popular in the advertising world recently, and some marketers have made Facebook games an integral part of their advertising campaigns. Some Platform game developers sell their own ad space as well. 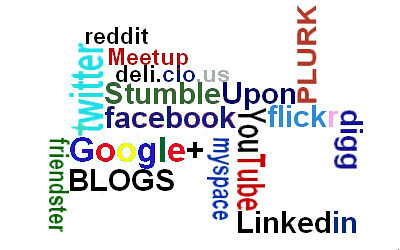 As a social search engine, StumbleUpon presents a unique opportunity for advertisers. The Paid Discovery system reserves around 5 percent of all of the site’s stumbles for paid advertisers. These links will usually be marked as sponsored. StumbleUpon avoid typical advertisements. Different options available for those who want to limit the amount of money they’re spending on promoting on that site. Available advertising inventory dictates where links are ranked. While FourSquare has several conventional advertising opportunities available, they’re best know for their card loyalty program. FourSquare members check into the site after visiting a particular real world venue and then they comment on it. Users can engage to become the particular leader of a venue, creating a sense of competition and community. Sponsoring companies offer various member discounts. Some firms give away free offers to users. These can even come as surprises to users, which make them attractive to anyone who wants to build a more positive brand image. YouTube sells commercial time in videos, which is a major boon to those who want to be seen on the world’s second largest search engine. While users can skip commercials, they usually have to wait for a period of time creating a captive viewer for the advertiser. Many people never skip these, and they’ll also be presented with links from within a video. These links may or may not be related to the content they’re viewing. YouTube has traditional pay-per-click advertising programs available as well. The platform also creates an opportunity to build brand awareness and engagement. MeetUp organizers often pay a fee to use this service. This is great because it turns advertisers into regular users of the service. Consumers are likely to connect with brands that they trust. MeetUp also features traditional sponsorship and advertising as well. While the options can be dizzying, social networks can provide a cost-effective way to get a company in front of millions of viewers for a relatively small cost, especially when considering the cost of TV, radio, and print media advertising.